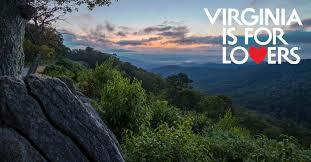 Lebanon is proud to be located in the Commonwealth of Virginia. Not only is it one of the most historic and beautiful states in the American South but also one of the most economically robust and business savvy. Virginia has repeatedly been ranked among America’s best for business by CNBC and Forbes.com. A diverse economy; moderate and stable taxes; and a conservative, results-oriented approach to business regulation have made the state extremely “pro-business.” Add other important factors – such as a strategic location (40 percent of the U.S. population is within a day’s drive), a productive workforce and excellent quality of life – and you have an unstoppable combination. Virginia also provides a range of incentives and services for assisting business growth and reducing costs – such as financial assistance, infrastructure development grants, tax credits and exemptions, customized trading, and technical support programs. The state’s corporate income tax rate of 6 percent has not increased since 1972. More than 700 internationally owned companies have located in Virginia, including Canon, Stihl and Rolls-Royce. 30 publicly-funded and nonprofit small business incubators. Headquarters to 32 Fortune 1000 firms. More than 17,300 high-tech establishments operate in Virginia. Ranks third among the 50 states as a recipient of federal R&D funds. Virginia has maintained its AAA bond rating since 1938, longer than any other state. For assistance about doing business in the Commonwealth of Virginia, contact the Virginia Economic Development Partnership, 901 East Byrd Street, P.O. Box 798, Richmond, Va. 23218-0798; phone (804) 545-5600. Source: National Federation of Independent Business (NFIB).